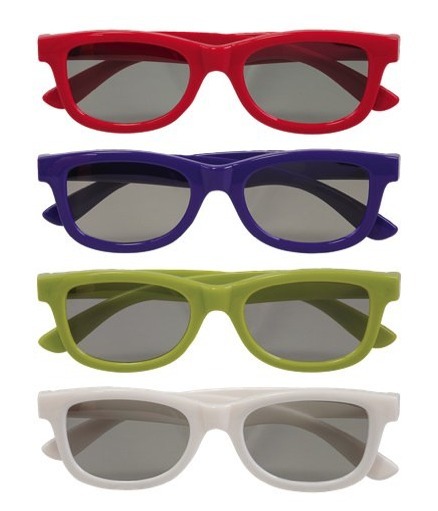 The Proline Passive Polarized 3D Glasses are compatible with 3D TV's using Passive 3D Technology, such as LG, Vizio, and others brands coming to market. They are light and comfortable, and are effective from a wide viewing angle and almost any head tilt. REALD 3D compatibility means you can even take them to the movies. REALD 3D is a widely used 3D cinema technology, so forget the rentals, take your own. 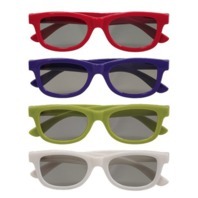 Includes 4 Pairs of Passive 3DTV Glasses in Assorted Fun Colours.